The Greater Hyannis Chamber of Commerce is here to help you find the business or merchant you need. 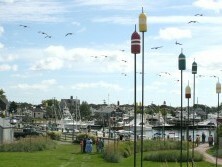 There are hundreds of business throughout the seven villages of Barnstable. Businesses include personal services, banking, finance, insurance, technology companies and real estate agencies, not to mention hospitality and those businesses specializing in travel/tourism. The Greater Hyannis Chamber of Commerce currently has close to 700 members in our Hyannis Area Business Directory and provide special member-to-member discounts. Also see Relocation Information for important town links.